Science Mobile Group made the Wishbone App with teens in mind. In a 2015 Pew Research Center study, 92% of teens said they were online daily and almost a quarter said they are connected “almost constantly” thanks to easy mobile access. ‘Mobile first’ has never been more true for this younger generation and for established entertainment brands lacking a mobile-first experience for the new digitally savvy generation, Wishbone is the answer. 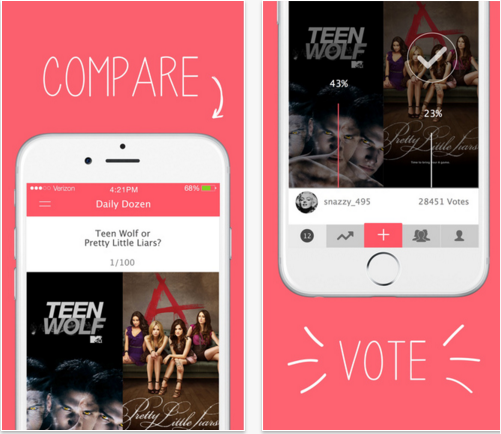 Seen as a pop culture content hub, Wishbone attracts more than 4 million teens monthly, all of which are voting on, creating and sharing ‘this or that’ Wishbone polls. To test how useful Wishbone could be as a marketing platform, we decided to partner with a handful of brands that our users already loved. Aside from Snapchat and Instagram, hardly any of the major social media platforms are exclusively mobile. 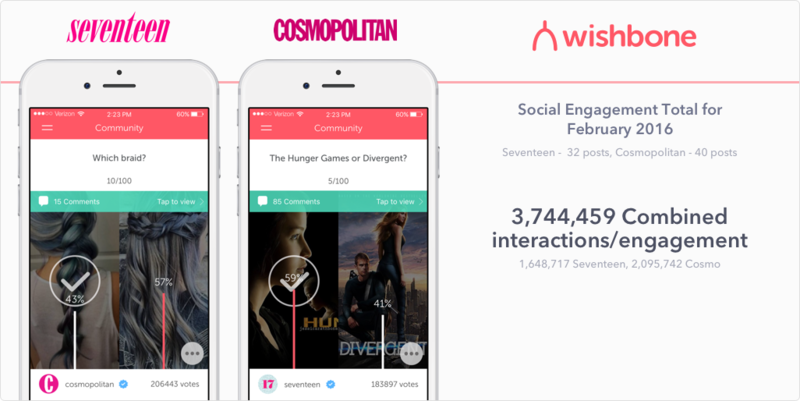 By meeting that demand, Wishbone allows entertainment brands to eavesdrop on millions of teenage debates — creating an unprecedented new way of analyzing their preferences. Back in November we decided to test our thesis out through official partnerships, first with Tiger Beat and People Magazine, then with Hearst and Taco Bell shortly after. The partners created branded, verified accounts allowing them to amass their own following, posting whenever and whatever content they’d like. For brands like Hearst, Tiger Beat and People, the digital strategy has become completely mobile first. While the print magazine is a strong and necessary part of of the business, exploring other social platforms has become crucial to engage new audiences. 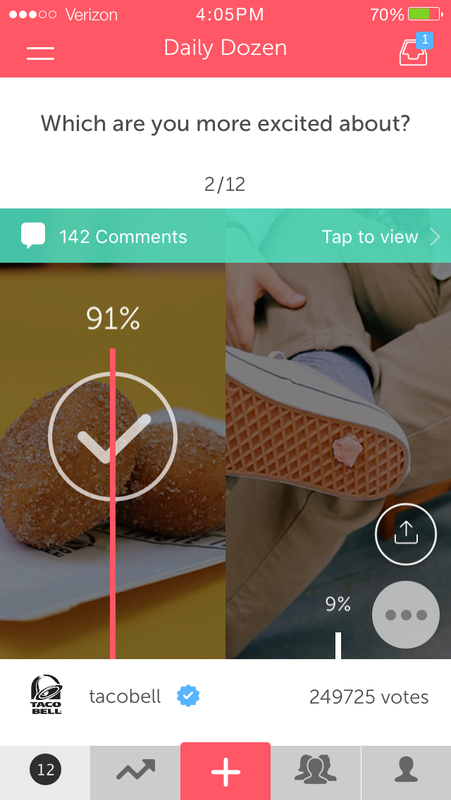 With Wishbone, these brands are not limited to a certain number of posts; the polls don’t disrupt the user’s experience — polls are the experience. In just three months with less than 100 posts each month, People and Tiger Beat reached over 15 million interactions with votes and comments combined. That’s a total of nearly 3 million unique users reached within their target demographic. 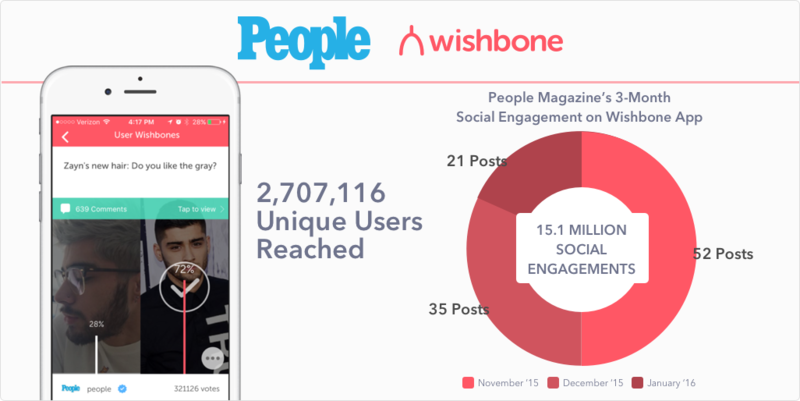 The Wishbone platform in inherently engaging, allowing both People and Tiger Beat to reach from 6 -8 million Wishbone interactions in a 30-day period. 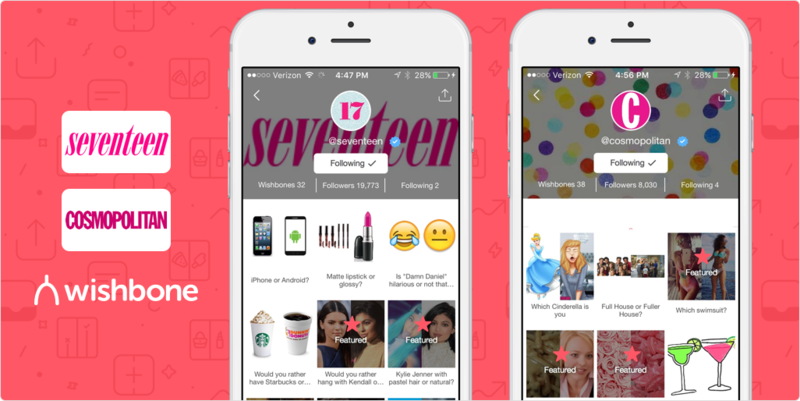 For the month of February, Hearst’s two teen-focused publications Seventeen and Cosmopolitan posted 72 times, reaching nearly 4 million combined interactions. Last month, Taco Bell partnered with us for a 10-day campaign, creating official polls on Wishbone in order to determine new items on their $1 breakfast menu. Partnering with Taco Bell was an obvious choice — as it is one of the most innovative brands on social media. This is the kind of campaign that we knew the millions of teens on Wishbone would be excited about, driving tremendous engagement from our community, on par with the content that we see coming from today’s most popular celebrities. The Wishbone App has not only allowed entertainment brands to reach their desired core audience of teens, but our polling model doubles nicely as an instant market research tool for any given topic. We’re excited to start working with even more partners, and help them gather insights about what’s going on in the hearts and minds of young people. For the first time ever, you won’t need a 16-year-old girl in your life to know what’s cool.